The aim of a sales page on a website is to give your customers only two options; buy your product or leave your website. Why let them leave without giving yourself another chance to sell to them? You don’t have to… You can set up a system which will give you many opportunities to sell your product or service to each single visitor to your sales page. The secret is to use what is known as an autoresponder which is an email service you can use to save the contact details of your visitors and then to send them emails at set intervals. To make use of an autoresponder you can either use the services of a third party supplier or you can purchase and install a script onto your website. To begin with it’s a lot easier to use a third party autoresponder. Irrespective of whether you use a third party service or your own script, you will have to use a form to capture your visitors contact details. This form can be built into any HTML web page be it your sales page, or a page designed specifically for use as a popup. The underlying concept behind the use of autoresponders is that people rarely buy on their first visit to a website. Research has shown that most people need repeated contact with an advertising message before they respond to it and purchase the product or service. Autoresponders were designed for just this. You can load a series of advertising messages into your autoresponder and adjust it to send the messages at set intervals. That said, people react badly to advertising; in fact most people just plain ignore advertisements. To get round this, you have to design your email series so that it is not perceived to be advertising. A good way to do this is to design your email series to include plenty of useful information; give your subscribers some good quality free information in each email and weave your advertisement into it. For example, let’s assume you are selling an e-book titled “101 Dieting Tips”. You could create a series of 7 emails, each containing a single dieting tip. At the end of each email you could inform the reader of your e-book containing 101 tips and include a link to your sales page. The bottom line is the content you include in your email series must be of very high quality; after all you are going to ask for somebody’s contact details in exchange for it. Bear in mind nobody is going to sign up for your email series just you write it, or you include good content. In truth visitors to your website aren’t interested in you, they are interested in themselves. They have a problem they are trying to solve, and that’s why they ended up on your website; they thought they could find a solution there. Another point worth considering is you are a relative unknown to the person visiting your website; they don’t know you or trust you. It’s because of this distrust that many people won’t buy your product or service on their first visit. If you can get them to subscribe, your email series should build up their trust to the point where they will buy your product or service. First you have to get them to subscribe, and you do this by advertising you are giving away “free” tips which will help solve their problem. 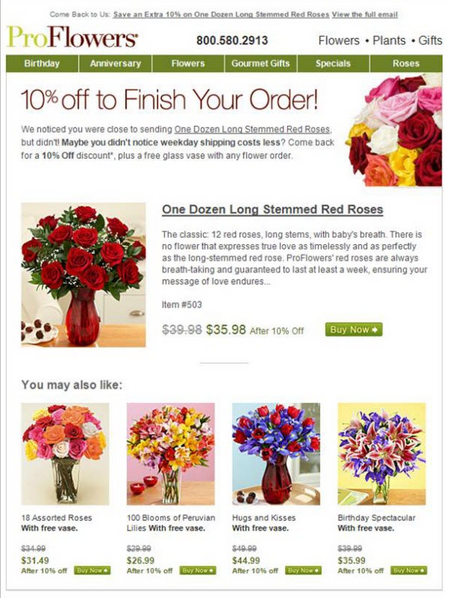 Your opt-in form must be prominently displayed on your sales page, build it into the content. You should also design a popup form that displays your opt-in form either when people first get to your site, or when they leave. 1) Use a heading, in a larger font and of a different color to the rest of the form, which includes a major benefit. In other words, in as few words as possible, explain the biggest benefit your visitor will receive from subscribing to your information series. 2) In as few words as possible explain two or three additional benefits your reader will receive from subscribing to your opt-in list. A list of bullet points is the best way to do this. 3) Your primary objective is to get your visitor to join your opt-in list, so ask them to subscribe. Get into the conversation going on inside their mind, use words like “Yes! Send Me the Tips Now!” on the submit button of your form. Successful search engine optimization will greatly increase the number of visitors that come to your website since over 60% of people who are looking for products and services use search engines to locate them. If your website is ranked high in the related keyword search by the search engines, you will get tons of free internet traffic to your website. One of the ways to optimize your website to be search engines friendly is by generating back links from other websites to your website. When websites provide a link to your site, the search engines deem your site as valuable and this affects your position in the listings. Articles are the greatest tool for online marketing. It helps in SEO by generating back links to your website and it also helps in getting exposure for your website through your articles’ hyperlinks. By writing short articles on the topic related to your website, products or services, you can offer these articles for other website owners or newsletter publishers to use by submitting them to article directories, forums or blogs. When the publishers use your articles in their ezines or websites, they will remain your bio information which contains links to your website at the bottom of your articles, which means that the publishers will contribute their link from their websites to yours. These back links are counted in SEO. When their visitors who read your articles and if they want to know more about your products or services may click the hyperlinks at the bottom of your articles to reach to your website. Pay Per Click is advertising provided by the search engine providers (Google, Yahoo! and others) where you pay for top placement. Most search engines give top positions to the highest bidder. It is a quick way to have your ad on the first page of the keyword search as listed in the search engines. There is a catch: you have to pay for every click to your web site. Make a budget and stick to it and make sure to monitor your account, those clicks add up fast. An affiliate program is another way to drive traffic to your web site. Your affiliates are your commissions-based sales people who make money when they sell your products. They drive traffic to your web site in exchange for commissions on sales. If you don’t want to manage your affiliates yourself, you could subscribe to affiliate network such as ClickBank if your products are digital items. ClickBank marketplace is able to exposure your products to thousands of affiliates who are looking for products to sell online. Any internet business will die without traffic stream into their website. If you already get started your website for online business, it’s time for you to work out a marketing plan to flood it with traffic. The above four online marketing techniques are time tested & proven methods to drive more traffic to a website. You must have passion for the product or service you are providing. If you don’t believe in it, why should visitors to your site? A lack of belief will result in weak content and poor conversion rates. If you are selling quality, you are doing the prospect a favor. The tone of your site should reflect this in the content. Many sites have conversion problems related to entry pages. Most people automatically envision the home page as the sole entry path to the site. Sweat, blood and tears are spent making the home page just write. Conversely, a fraction of the same effort is applied to internal pages. This is a fundamental mistake. If server statistics are checked, you may be surprised to find significant amounts of traffic entering your site through internal pages of your site. Yes, a large percentage of visitors are entering the site without seeing the home page. If your “hook” is only on the home page, your conversions will suffer. Make sure you have a concise summary of your service and the benefits on every entry page to the site and conversions will improve. Tell visitors exactly what you do with the first sentence. Don’t be subtle. You only have a few seconds to get their attention. Don’t waste it. The opening sentence should read something like, “At XYZ, we offer quality tools at wholesale prices.” Bam! The prospect knows exactly what you are offering and if it fills their need. Tell your prospect how they will benefit from doing business with you. Don’t assume they understand it. Again, be blunt with something like, “You save money when you buy from us because we have a low overhead and free shipping.” Bam! Now the visitor knows you sell tools at a low price. This combination should result in shopping activity if they have any need for the tool products. What do you want prospects to do when they visit your site? At the end of your content, make sure you tell them. “Click here to order” is a perfectly fine statement, but adding a benefit is optimal. “Click here to order with free shipping” is a superior demand. Regardless, make sure you tell them what to do and make it is easy as possible to take the requested action. If you are offering quality, you are doing clients a favor. Make sure the tone of your site reflects that fact. You finally realize that you need a good opt-in list. After reading countless articles and sought expert advice and have read many success stories of people being successful with opt-in lists you decide to have one of your own. For those who are just starting or struggling, here are three quick and easy tips to build a profitable opt-in list. 1) Get your customers to trust you and your products first. Just launching your opt-in list does not make you an expert and a trusted seller. Write several articles first before you start an opt-in list. Write about the topic or product(s) you know and have used. Try posting to forums first to gain knowledge about your customers wants and needs so that you can target those wants and needs. Provide expert advice and recommendations around the area you are familiar with. When you feel that people trust you, you will be able to start your own opt-in list. You can build a base as well with other forum users. You can ask them to join your list. Put up a link to your site in your forum profile and signature, so that they can see what you’re business is all about. The certain truth is, the money will only come in when the consumers and subscribers believe and trust in you. They want a product or service that could be a good exchange for their money. People are not going to buy something out of your recommendation if they don’t feel comfortable. 2) Find a product or service that people want and need. Although it may not be your forte, if you provide a service and product that you have researched and learned about well, you can still be successful in building your list. While it is true that it is best to sell something that you have interest in, if you do your research well, you can still become an expert in that area. It may take more work, but if the area is a popular one, it could pay off in the long run. 3) Make friends with other opt-in list users. This is basically beneficial especially if it is someone who has already launched a successful opt-in list. These are people that have the experience in lists and you can learn a lot in a shorter amount of time using their experience. While there are many articles available on the internet to use to learn, there is nothing like getting a first hand account from someone you trust. Experienced opt-in list creators will be able to give you first hand experience on what to do and what not to do because they have gone through it. While different situations occur for different people, the general concept can still be very helpful. Building a profitable opt-in list don’t just happen overnight. Opt-in lists are built from scratch, as your list grows, you should also maintain the quality of your list. Keep it organized and manageable. Get or hire help if need be, just make sure that your subscribers are happy and satisfied and they will be willing to buy from you far into the future. Every good eCommerce business should understand the value of conversions versus hits received. Far too often, businesses become fixated on the hits they are receiving instead of monitoring their hit to sale conversion rate. This misguided focus is the road to ruin because it fails to take in the issue of abandonment. 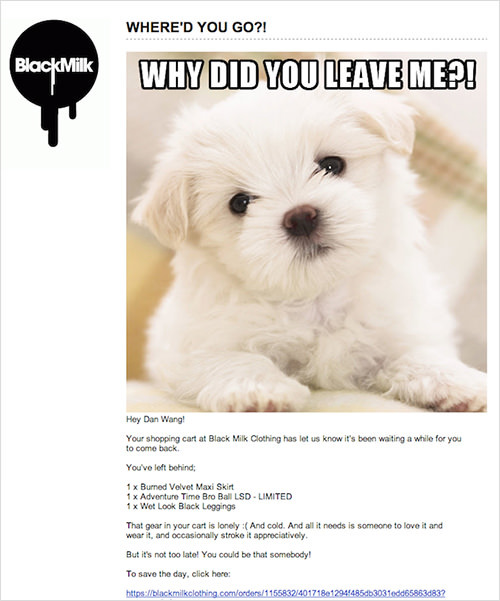 “Abandonment” is one of those terms that has a unique meaning when applied to the Internet. The term refers to reasons why a user abandons a site before taking the action the site owner desires, typically purchasing a product or making an inquiry. The site should always load as quickly as possible to accommodate visitors that are using slower internet connections. All advertisements should click through directly to the items that are being searched, not the home page of the site. Site pages should be kept short to improve load times. Either offer a mobile version or make sure the site loads properly on a mobile device. Signing up for a newsletter or other info should be made as easy as possible. Customers should be required to fill out the minimum of information to make a purchase. All images should be compressed for quick loading. If the customer has left the shopping cart with items in it, think about sending them a discount code to complete the order. Offer free shipping on all items if possible. The list is fairly endless, but you should always view site designs and advertising from the perspective of the customer. The universal question for each project is, “How could we make this easier for customers?” By emphasizing this approach, you will bypass many of the problems you see on the net and avoid wasting your advertising dollars. The buyer was surprised by the shipping charges. The buyer was comparison shopping. The buyer was in a hurry and ran out of time to finish the purchase. The kids were screaming and fighting. The buyer found a better price. Ok, so you get the point that there are many different scenarios for a customer to abandon the cart before purchasing their items. 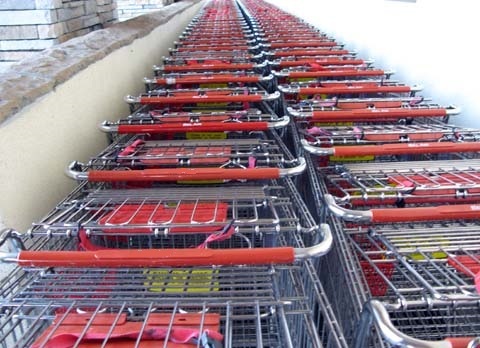 Let’s start by looking at improvements that can be made prior to the cart abandonment which might help reduce the number of customers leaving the process before purchasing the items. Dont up sell or cross sell during the checkout process, users can get easily distracted. Use your blog to highlight/review new products, educate visitors on product benefits/uses, announce special deals and sales. Make sure to create a FAQ page which contains answers to the most common questions customers will have. Have a return policy page and list the acceptable reasons and process for returns. Offer a “Checkout as Guest” option on your website for those customers not wanting to register. Run a promotion or sale every so often to entice new customers and reward current ones. Offer free or discounted shipping to customers and add some of it to the price of the product to offset the cost. Make sure to show stock inventory if there is a limited number of a particular type of product. Try to show product images in real life situations if possible and use multiple images to show all angles of the product. Dont just list the features of the product being sold, also include any benefits the product may have to the customer. No matter what you do or how amazing your shopping cart is, there will always be customer’s that abandon the buying process for one reason or another. This leads us to the post cart abandonment process. Obviously, we want to convert as many of those abandon carts or warm leads into paying customers as we can. So what can we do? Once the customer has abandoned the cart, there are couple of options depending on what information was collected during the signup process. Studies show that the best time to follow up with your customer is between 6 and 24 hours after they have abandoned the shopping process. The first option, but probably not the most popular, would be to call the customer (assuming they provided their phone number during the buying process) and ask them to do a quick survey on why they didn’t purchase the items during checkout. It’s best to keep the survey simple and short. You could also entice the customer with a discount coupon, promo code or free shipping code for completing the survey. This might get the customer to reconsider the purchase. The second option and a pretty simple solution, consists of emailing the customer through a personalized message or otherwise known as abandoned cart email marketing. This process should take into consideration of the reasons why the customer abandoned the buying process in the first place. Below are few ways to create some of those emails. Keep in mind that you should vary these emails and try different combinations so customers don’t get use to or even expect a discount. Send a Reminder: Send customers a gentle reminder (and a link to their cart) that there are still products sitting in their shopping cart. Show Them More: Send customers product reviews or information on the items in their cart with similar items to compare. Free Shipping: Send customers a coupon for free shipping along with a link to their shopping cart. Promo Code/Discount: Send customers a promotion or discount code to sweeten the deal. Create Some Urgency! : Add a time limit to the email offer. This can be applied to any of the emails above. Low Inventory? : Send a warning to customers that the products in their shopping carts may sell out or have very limited quantities. 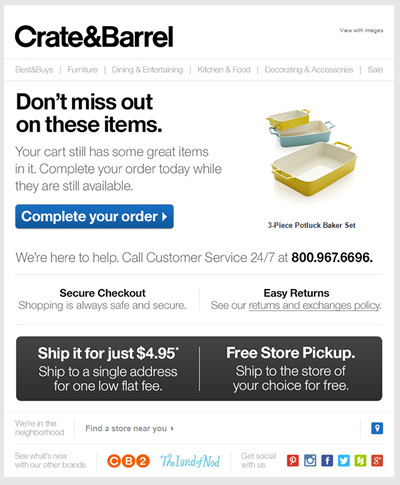 New Products: Send customers a follow up email after sending the initial cart reminder with new products that are similar to the ones the customer had in their cart. Promote the Return Policy: Send the customer details of your return policy and special details or FAQs. 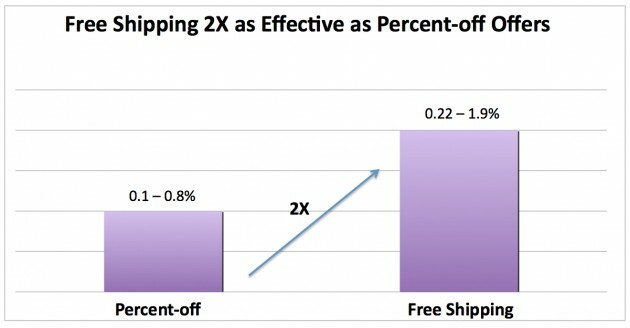 A study shows that shoppers are twice more likely to respond to free shipping than percentage-off offers. No matter what you decide, whether it’s a single follow up email or a multiple stage campaign, keep your emails simple and focused. Subject Line: Make sure this grabs the customer’s attention as it’s the first thing they will see. Email Copy: Including the right tone (e.g. funny, serious, etc.) and calls to action can make a difference in the click thru rate. Images: Using images in the email can also boost the recovery rate. You wouldn’t throw $20 away…would you? Did you forget something? We can help! Jay, there’s still time get those items! Last chance to get 15% off those shoes you liked! One of the items in your cart is almost sold out. Don’t miss out! The email content is just as important once the customer opens the email. Sending a plain text email is probably better than nothing (if you do make sure to at least include some type of image) but to get the best results you should send the email in HTML and include images of either the products or something to grab their attention. A rule of thumb is maintaining a ratio of 30% images and 70% text. Here are few sample cart recovery emails (followed by a link to a collection of other examples) to get a better idea of what they can consist of. Don’t be scared to test with different techniques and subject lines to determine what works best for you and your customers. Responding to those warm leads in a timely manner can lead to 10-20% boost to your online revenue. Many new eCommerce businesses have little idea the impact of trust marketing will have in their online business success. For most customers the value of trust is important. This is why certain businesses continue to grow online while others do not. In a very simplified sense online businesses that grow give their customers reason to trust them while many others do very little to instill trust. Where does that trust come from? 1. Always work to improve Search Engine Optimization (SEO). Most web users refer to their favorite search engine as a litmus test for trust. If they can’t find you in the first 3 pages of results for a search term, they probably won’t look any further. Work to convince the search engines you can be trusted and customers will follow. 2. Making promises and then delivering on the promise. Customers pay attention to how well your word stacks up against the reality of the checkout. 3. Customer service is always a big deal. Do your best to make sure every customer feels taken care of. There are ecommerce businesses that routinely drop the ball when it comes to customer service. Sadly, many will not be with us long. 4. Knowledge-based content must be authoritative. When you give your customers quality information they can use, you extend a hand of friendship to them. You are perceived as someone who is not stingy – someone who can be trusted. 5. Make sure your site is clean. One killer of trust is a site riddled with spelling errors and other glaring mistakes. Many customers will leave when a pattern of error is detected. The feeling is that if something as important as a website can’t be developed with minimal error then how important are the customers and how well will they be taken care of. At that point it’s simply easier for the customer to look elsewhere. 6. Your customers are smart so let them know that you are aware of the fact. If you work to inform without high pressure you are letting your customers know you understand their ability to make informed decisions without the need to be lead. This often enhances trust. 7. The use of autoresponders can help in managing follow up and follow through. No one likes to be left hanging. When you use autoresponders you can effectively eliminate extended response time. Trust marketing doesn’t have to be hard it simply needs to be managed as an effective means of reaching the goals of your customers as they help you reach yours. If you give more than the customer expects you are likely to see greater trust and increased sales. Article Writing: Can It Help My Online Store? Online businesses take time to grow, especially in the first year. If your online store is quiet and you’re waiting for visitors to come and buy, it’s easy to get discouraged. The moment the advertising ends, so does your traffic. 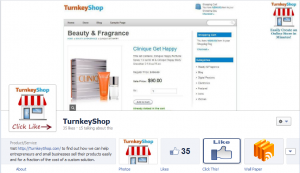 What if you could get visitors to your online store for free? And, not just that, the visitors keep coming for years to come. How does that sound? One of the best methods of generating traffic to your website is by writing and sharing articles. This is not a ‘get rich quick’ or some other type of scam. It’s just plain old fashioned article marketing. Now, even if you aren’t a writer, you can use this method of getting traffic. It doesn’t take a degree in Literature to succeed in article marketing. All it takes is a little time and energy. If you have that – you can get traffic to your website. It’s actually quite simple and it is underused, especially in ecommerce businesses. All you need to do is write a short, simple, helpful article about something related to your online store. If you sell makeup, then write an article about how to choose a foundation color, or how to care for your skin during the winter. Or write a review about a particular product you sell. Once you’ve written your article, you submit it to the article directories. Article directories are libraries of free articles. They are collections of articles that website and blog owners can use on their sites for free. The only stipulation is that everyone who publishes your article must include your author bio at the end which is where you include your website URL and some intriguing information about your online store. Having articles in various article directories is a great way of providing links back to your online store, thus building your site’s popularity. When a page has many links back to it it helps to attain a good placement in the search engine results. An article directory which has a high page rank is the best place to submit articles, as this helps to boost your page’s rank as well. During the process of article marketing, don’t submit an article that is already on your own website without modifying or spinning it to give it at least 25% uniqueness. It could be considered duplicate content if you just submit copies to all the article directories and you don’t want that! Use keywords in your article’s title and in the beginning of the first paragraph. Spread your chosen keyword/phrase throughout the article as well. Most article directories allow you to use hyperlinks. For superior article marketing, use anchor text that relates to the keywords you are targeting. This will help you attain a better position in the SERP’s (search engine result pages). If you are targeting “makeup tips” make sure to hyperlink those keywords/phrases in your article or bio box. This will help your online store get higher in the search results for the term “makeup tips”. In summary, article marketing should be an important element of ecommerce marketing. Now that you see how simple this free method of generating traffic is, give it a try. You have nothing to lose and much to gain. Comments Off on Article Writing: Can It Help My Online Store? We all want visitors to our website but more importantly we want them to stay and spend money on our website. Below is a list of five ways on how to drive visitors away from your website screaming “Get me outta here!” If you prefer being alone with your website and don’t want all those pesky visitors bothering you, then follow the guidelines below and you’ll get rid of them quick as a blink. 1. Don’t state on your website what you do or what you sell. Make it a complete mystery. It’s like a secret club — your visitors are left in the dark. Have you been to websites like this where you show up and think “What the heck is this site about?” If you’re not presenting a clear statement about why your visitors should spend their money (or at least come back again), then you’re on your way to the bottom of the abyss. 2. Overwhelm visitors with lots of information. Almost as bad as the “What the heck is this site about?” problem is the “Oh my Goodness! Oh my Gracious!” sites. As a visitor, you know the sites I’m talking about. The page opens and your jaw drops. There is a sea of banners and links everywhere. Where do you go? What do you do? I’ll tell you what I do: Click the little “x’ in the upper right-hand corner to get the heck outta there! 3. Make the ordering process really complicated. There’s nothing I love more than putting items into my shopping cart and then spending 20 minutes trying to figure out how to set up an account and pay. Guess what? I sure don’t click the ‘contact us’ button. I click the “x” instead. You’ve succeeded in getting rid of yet another pesky customer who wanted to spend money. 4. Fill your site with outdated information and broken links. Phew. You dodged a visitor with that one. They clicked on a link that was broken — and off they went. 5. Make sure there’s no way for an interested customer or business partner to contact you. Heaven forbid, you might get some spam if you have your contact information on your site. Thank Goodness you don’t have those gosh-darned customers emailing you while you’re trying to read up on your favorite celebrity’s love life. Obviously, I’m being silly, but you do know that these examples are true. You’ve seen sites that seem like they are trying to drive you away. If you are spending time and energy putting up a website to make money, then make sure you do it right! If you currently have an iframe page tab setup to direct fans to a call to action (most likely to click the “Like” button), it will no longer default to that page from your vanity URL. However. each tab still has an unique URL that you can use to send people directly from your website, article, signature, etc. One benefit of the new tab pages is more horizontal space to get your message across. The Like button used to be in the top left area of a Page tab. On the new Facebook tab pages, the Like button is in a fixed position on the top right of the Page tab. If you currently have an arrow on an iframe Page tab, you should probably change it to point to the top right. On the new Facebook timeline, there are visible tab images (111 x 74 pixels) which contains plenty of room to include text and images. You can get creative with these by adding call to action text within the images too. You can also select which tabs you want to be visible. Although Facebook doesn’t allow calls to action on your Cover Photo, they don’t say anything about having a call to action on your Profile Picture. You can sneak in a subtle suggestion to click the Like button that’s to the right of your profile picture. You can pin specific content to the top of your timeline and pinned posts will stay at the top for seven days. If you have a particularly popular blog post, be sure to pin it (and pin it again). You can also highlight specific content on your timeline which will increase the size of the post on the timeline. Make sure to test multiple approaches to find what works best for your brand and remember that people will be more willing to Like your page if they see it as a source of great content that’s relevant to them in some way. Please feel free to post your comments below with any approaches or tips to maximize the new Facebook timeline. eCommerce Website Building: Where Do I Start?